Detail : Paul's twenty-eighth solo single. 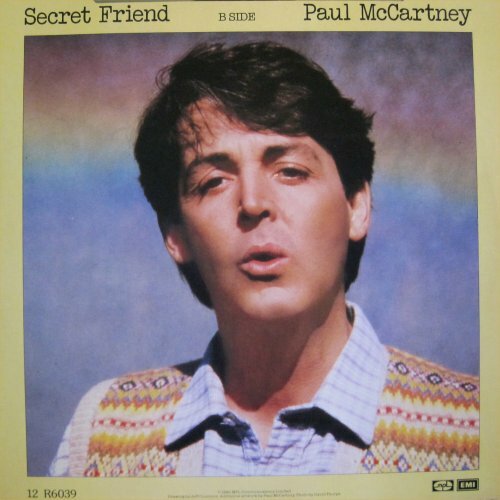 The third single to be released to promote the "McCartney II" album, although the B-side was another one of the unreleased recordings from the solo sessions. This was Paul's ONLY single to be released on 12" ONLY ... and even then at a limited amount of just 25,000. Not surprisingly it failed to chart ... but it's scarcity makes it his most valuable "normal" release. The B-side is the longest song Paul has ever officially released at 10 and a half minutes long ! The pressing comes with a Silver/black Parlophone label. The "All rights of the manufacturer" message around the edge of the label starts with "EMI Records Ltd."
In the run out groove the A-side has the number "7", the B-side has a "10". and the B-side photograph (an excellent shot of Paul) was NOT taken by Linda, but was taken by David Thorpe. 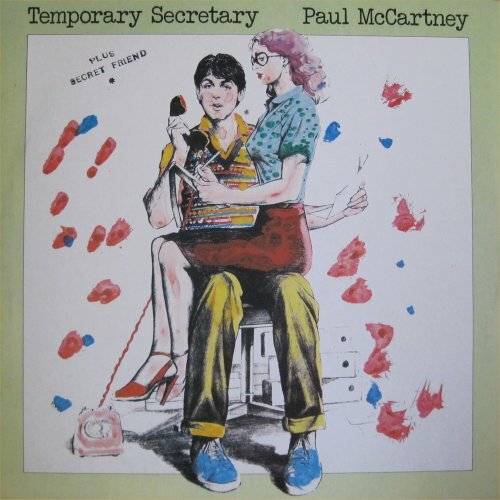 There is also a rare promo of "Temporary Secretary", which is a ONE-SIDED 7" and no picture sleeve.